I don’t make muffins often. To be honest, I don’t really enjoy anything sweet in the morning, and, to me, muffins are just un-iced cupcakes masquerading as breakfast. 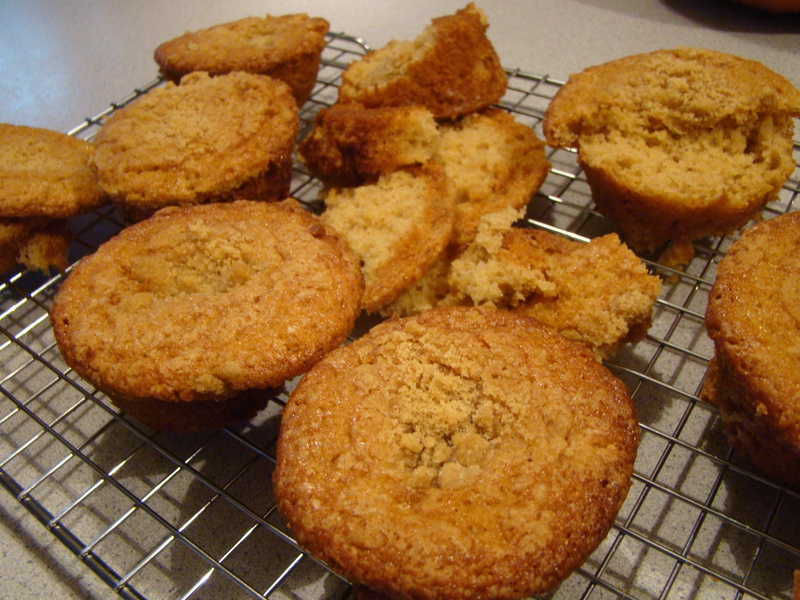 Tuesdays with Dorie kicks off November with Marion Cunningham’s recipe for Buttermilk Crumb Muffins. A friend was coming over of visit on Sunday afternoon, so I decided to make a half batch of these muffins to go with our warm cups of tea. The batter comes together easily. 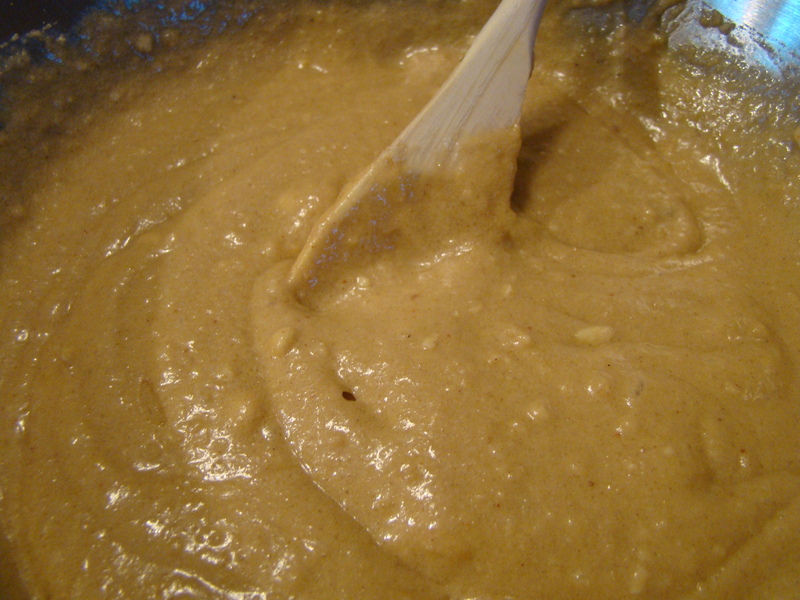 Fat is combined with a flour / brown sugar mixture. The recipe calls for Crisco, but I used butter instead. You could use a pastry blender or a pair of knives, but I enjoy the tactile step of using my fingers to rub the butter into the dry ingredients. 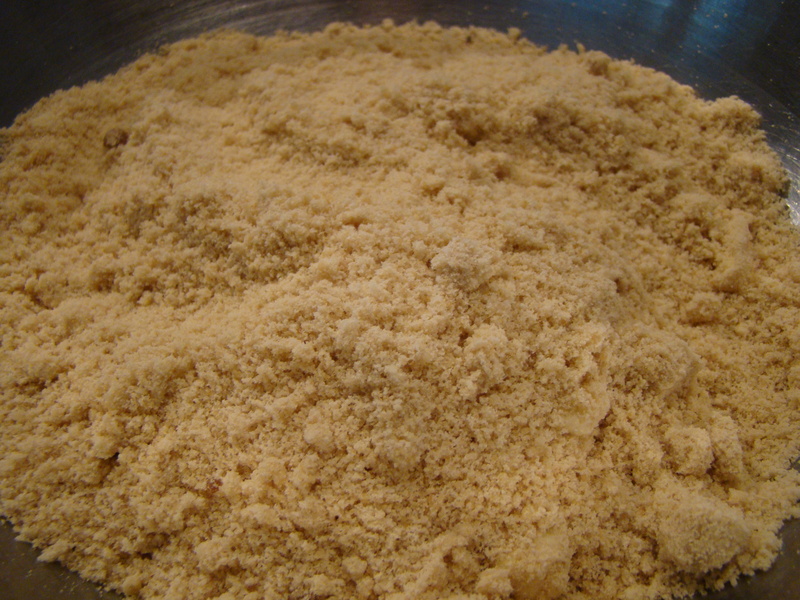 The mixture transforms into sandy crumbs in just a few minutes. At this point, you set aside some of this mixture to use as streusel topping later. Warm spices (cinnamon and nutmeg) along with some leavening are mixed into the bowl before stirring in buttermilk and egg. 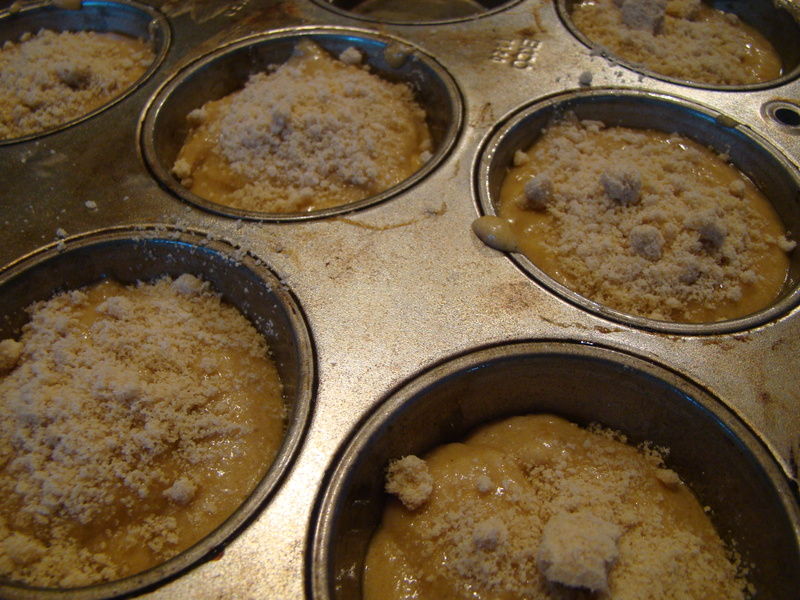 Now, you are ready to fill the muffin tins with batter, sprinkle with the reserved topping, and bake. It couldn’t be easier. As for flavor, these muffins tasted good. They reminded me of the buttermilk coffee cake from Margaret Fox’s Morning Food from Café Beaujolais. We especially enjoyed the tops. They reminded my friend of her grandmother’s snickerdoodle cookies, chewy and sweet. Warm from the oven, they hit the spot for our afternoon treat, but I’m not sure I’ll make these again. If you’d like the recipe, this week’s host Alisa from Easier Than Pie shares the recipe, along with a vegan version of the muffins. To see how the other bakers made out with their muffins, you can follow their links at Tuesdays with Dorie to read all about it. The recipe can also be found in Dorie Greenspan’s baking tome, written with Julia Child, Baking with Julia. One final note: if you are a US citizen, please take the time to vote today! I know it sounds corny, but voting is a privilege that not everyone in the world enjoys. Take the time to exercise your right to vote and to support the candidates and issues that you believe in. Everyone’s vote counts, and you could be the one to make the difference in an incredibly close race today.